I’ve gained a good amount of knowledge with regards to my training and nutrition since I started following you guys, and find that the Cutting Guide are a great way of maintaining structure to smash set goals. In January this year, my second child was 4 months old and I was in the worst shape of my life. Honestly I couldn’t even blame baby weight anymore given that I had managed to put on 3kg over Christmas (a diet of quality street and red wine) and was now 13kg over my pre-pregnancy weight. ???? So I dug out my Bikini Guide (I had purchased it exactly a year previously 2 weeks before finding out I was pregnant) and it had been hiding out in my iPhone since. I’ll be honest, I’ve not been religious with it. The reality is as a stay at home mum to 2 kids, gym 4 times a week, every week was a big ask especially as there were other activities I wanted to fit in – getting back to playing touch rugby for example. The food I was better with, and very dedicated initially – I tracked 100+ straight days in MyFitnessPal (including the cheat days and sometimes cheat weeks) before gradually slowing on that too. And then there are the holidays and visitors and illnesses (mine and the kids) and other life things that would put me off track for a week or two here and there. 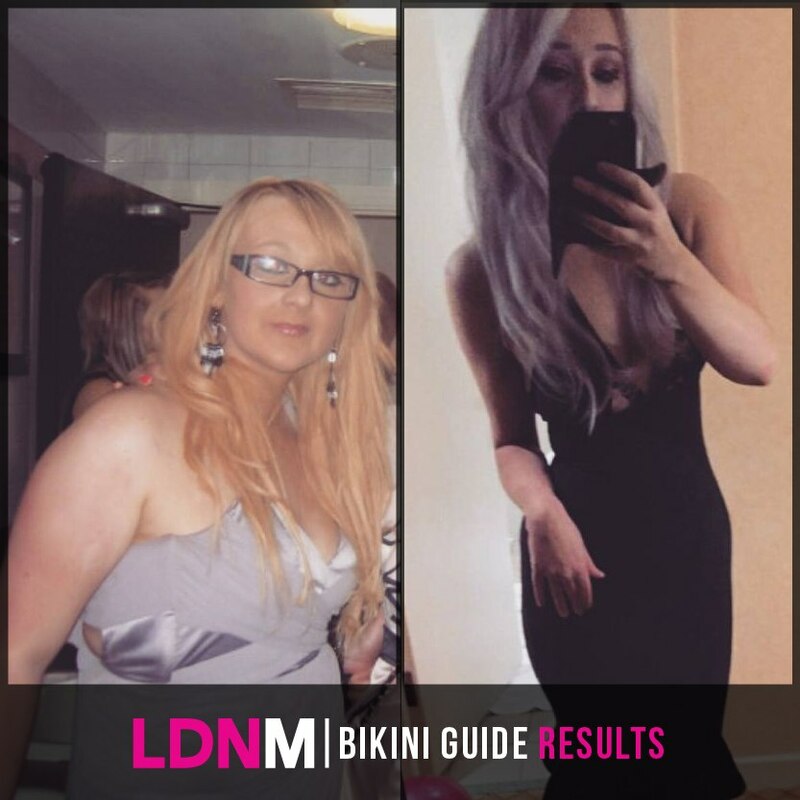 But ultimately none of that mattered because what I had learnt and gained by using the Bikini Guide in the meantime made all the difference – I had a varied and challenging work out plan that I could follow when I was in the gym, and I had changed my diet dramatically. If I feel myself falling off the meal wagon or my progress slowing, I just pop back in to MFP and track for a few days to refresh my mind on what I should be eating and when. “So here I am 5 months on from the worst shape of my life to not quite the best but a full 11kg down. I still have a couple kilos to go and I’d like to add some more definition and lose the last of the baby belly pouch that’s hiding under my trousers, but I also feel stronger than I have in years. I can do full body push ups for the first time in my adult life, I’m fit enough to play touch rugby again and I’ve discovered that I actually really enjoy lifting, pushing and pulling heavy weights! And I’ve learnt that I don’t have to be “on it” 100% of the time – I’ve found a routine that’s probably not intense or fast enough for some, but one that keeps the balance in my life and has provided gradual but consistent progress. I’ve changed my lifestyle sufficiently that I can have off days and even off weeks and know that I can still keep moving forward. Most importantly, I’m enjoying myself – instead of making excuses not to go to the gym, I’m trying to find ways to fit it in. I have about 6 weeks of visitors and holidays and general down time ahead of me now, but while I won’t be perfect I know I can get through it without totally overindulging. And I’m already looking forward to August when I’ll get the latest Bikini Guide, open up MyFitnessPal and crack on with those last few kilos! “Hey guys. 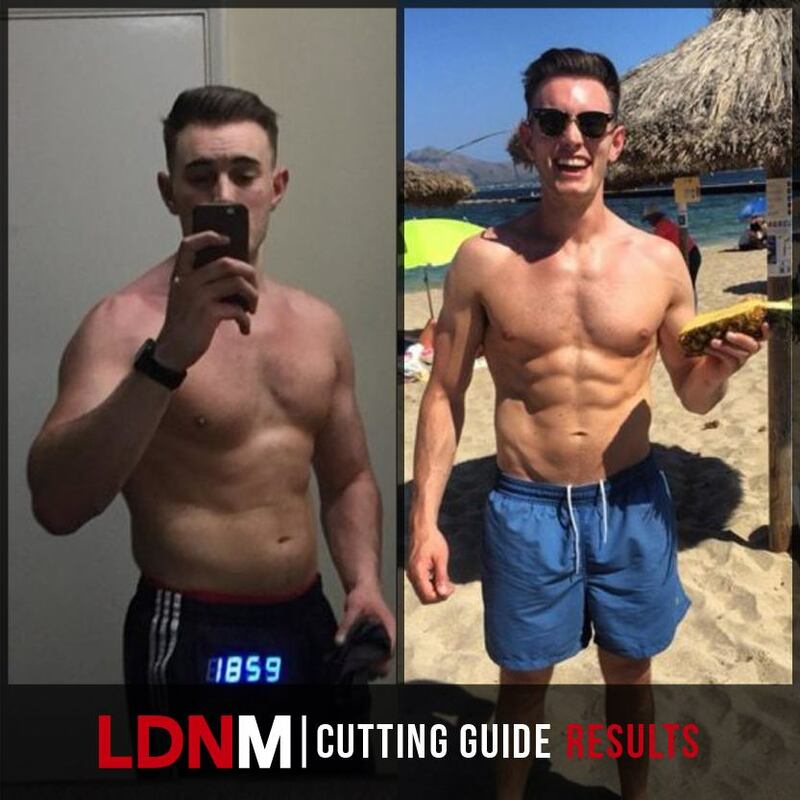 Just wanted to message and say thanks for creating the Cutting Guide , as it has helped me massively in the past 5 months. Really enjoying the workouts, and more than anything the guide itself is really educational. 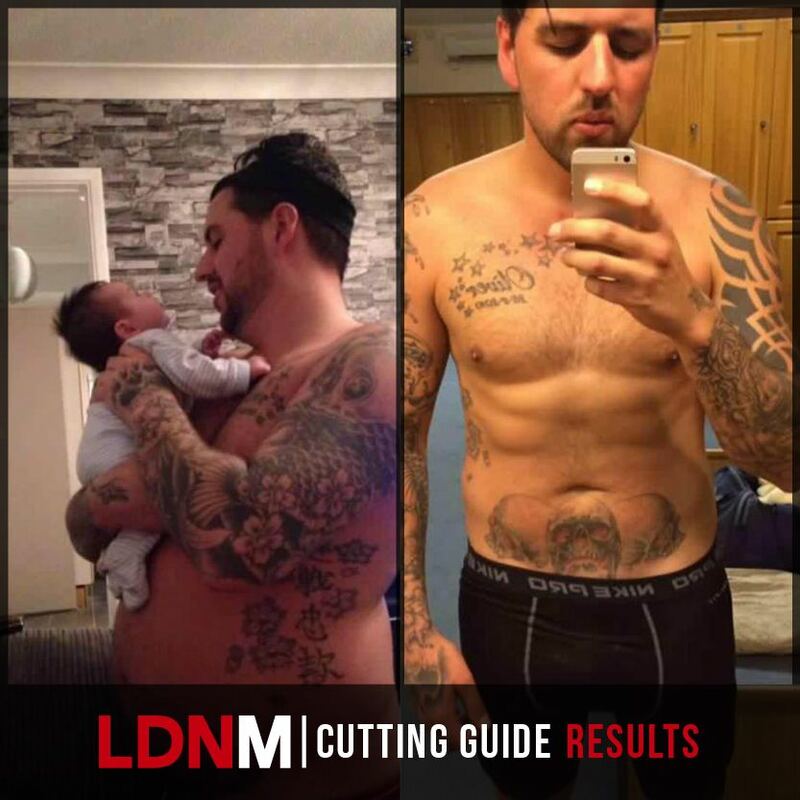 The Cutting Guide made things simple and easy to follow, whilst giving a good foundation of information on how to the implement it into my lifestyle (not become a slave to a fitness regime). My goal was to shed down my body fat before starting to gain some muscle, and I achieved that whilst actually gaining strength in some areas! What was your typical diet like before and what is it like now? (Breakfast, lunch and dinner and snacks). As a first year Uni student, working long hours and not getting home until late, my diet was all over the place. I gained a lot of weight over the course of a year and was eating “easy food”. Packaged food, premade food and fast foods in large amounts. The brilliant thing that I changed was what I was eating and how much of it I was eating. The Cutting Guide enabled me to eat fantastic food that was easy, simple and affordable, and also still enjoy the foods some people see as bad, but in the right quanitites. The food was able to fill me up a lot easier so I didn’t eat as much. I found my stomach shrunk very quickly and what started out as a diet, soon became a healthy lifestyle. 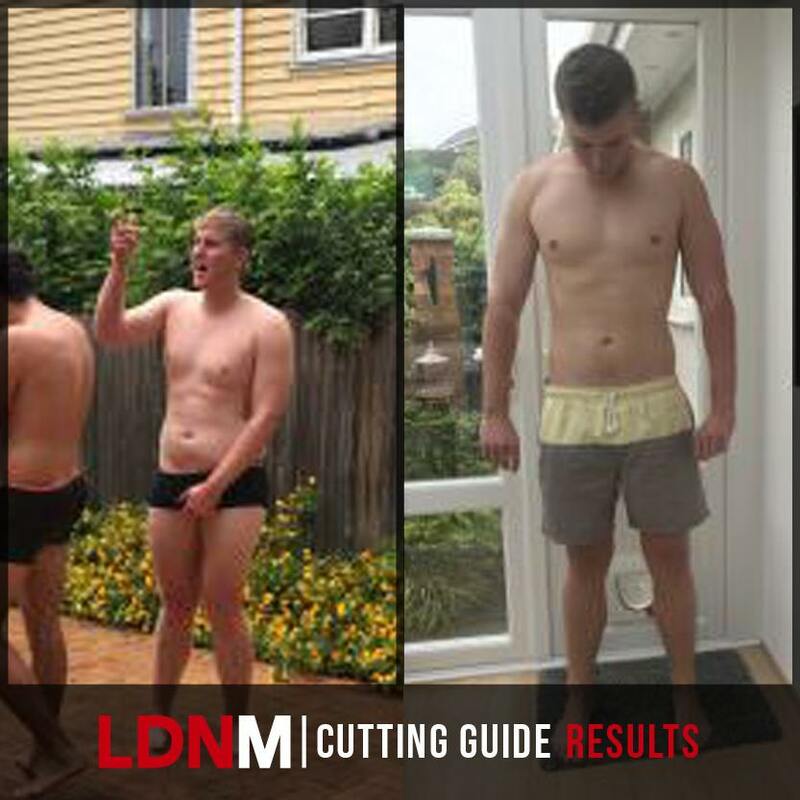 Many say, “it’s hard to keep the weight off” but the fact is that the LDNM lifestyle is a better standard of living just because it still lets you enjoy life, unlike other weight loss programs which take it away. I am still able to go out and have fun with friends and family and eat fantastic food, but LDNM teaches you to know where you must work and reduce your intake in other areas. As for the training within the guide, it was so varied, fun and never got boring, I love it!. Was there a particular moment when you look back that you decided you wanted to change your lifestyle? Were you bullied? Was something said by someone? Was there a particularly embarrassing situation? (If you can go into as much detail as possible here that would be great). As bad as it sounds, my weight loss started with my girlfriend leaving me. I was working too hard and not enjoying life and this caused me to gain a lot of weight. I have had many years of being a “Big” person and decided that this was the time to start over and create a better person. I looked up to people like JE and TGE who are high up in the business world but still maintained a high level of fitness. I never thought it was possible as I found it hard to manage my intense career with fitting in a workout but the boys at LDNM and their Cutting Guide showed me it could be done. Who helped motivate you to lose weight/transform yourself? The entire team at LDNM is fantastic but TGE is an inspiration to me in all aspects of life. His story and his day to day life was the motivation to show me what I could have if I put in the hard work. TGE shows exceptional work/life balance and this carries through in the LDNM workout guides. They simply cannot be compared to other plans as this is a lifestyle, not a diet. Why LDNM, how did you hear about them? Again, TGE was how I found LDNM. Through our mutual love of cars, I found TGE’s YouTube channel and obviously LDNM had a big presence in it. In particular, his burnouts, biceps and burgers series. How long have you been following the LDNM guides for/using their products? I started on the Cutting Guide in early February 2017 and have loved every minute of it. I am able to fit the workouts into my busy day and the use the guide to help me monitor my weight. The information that the guide gives you is simple fantastic as it lets you understand your body and now I am at a stage where I know the guide so well that it has become a part of my life. Heaviest weight before transformation and leanest weight now? Can’t give exact figure but I was on the last ring on my belt and now I had to put two new holes at the bottom because it doesn’t fit me. 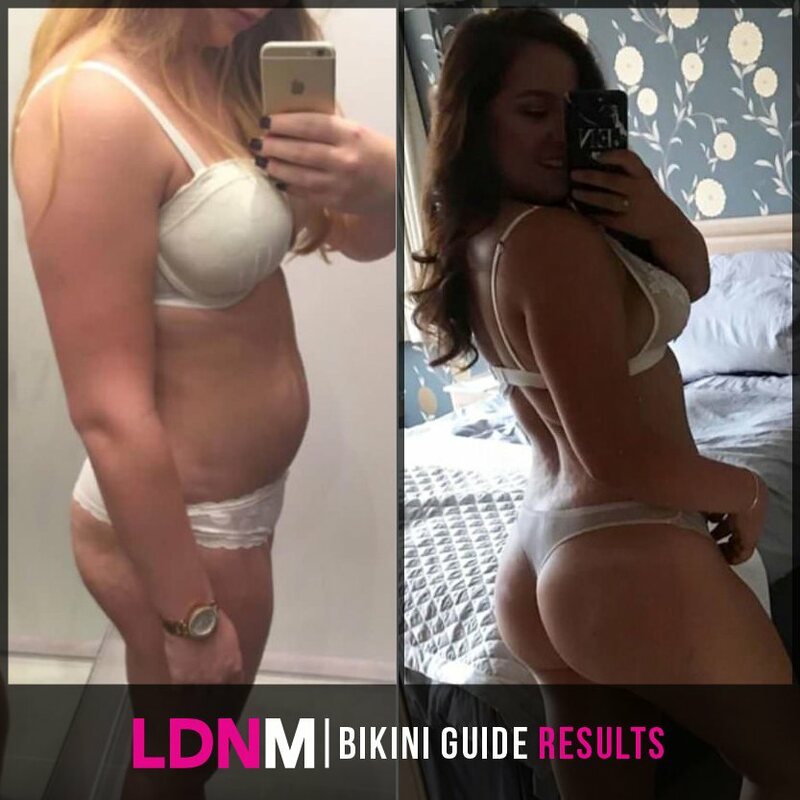 “I have been feeling so much happier with myself and my body since doing the Bikini Guide, and that has had such a positive impact on everything else. Having such a clear guide that takes you through every step is something I was lacking and once I got used to it all it was easy to do, enjoyable, and crucially can work with a busy work, or social life, this then means you can stick to it, and I’ve seen such amazing results”. 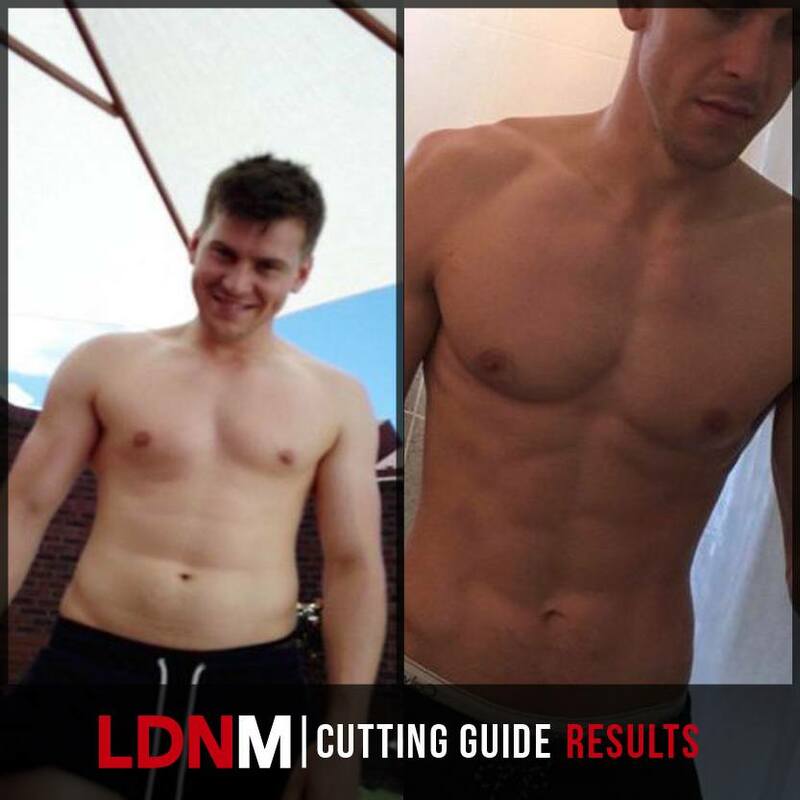 “LDNM takes the hard and difficult parts of fitness and makes it easy for you to use. For me working out what I needed to do and when always put me off fitness but they also go that extra step to explain it all in detail so you can better understand it. LDNM have such a wide range of products also which can help you with your fitness routines. It’s also so good that the team are there to answer any questions you have, with their unrivalled support”. The combination of third year stress and anxiety and a wonderful boyfriend to hang out with every night meant that for the past year all I was doing was eating eating eating. Consuming over 150 grams of refined sugar daily, eating pizza every other meal, and lord knows how many bags of quavers went in my gob!After taking photos of myself (left) 3 months ago, I decided to sign up to the LDNM Bikini Guide as a desperate plea to change the way I looked, felt, and how I was treating my body.’ ….